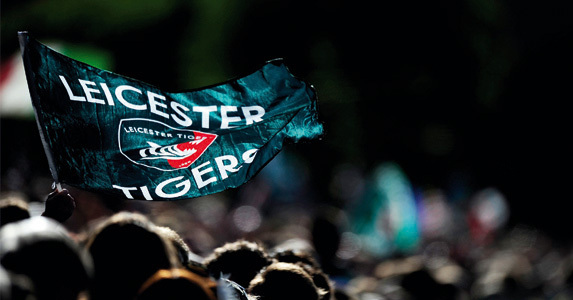 Leicester Tigers – the only club to successfully defend a Heineken Cup crown – have to bury a horror domestic season home record when they face Ulster Rugby at Welford Road on Saturday if they want to make it two from two in the 17th season of European club rugby’s elite competition. Three defeats and a draw is all they have managed at their normal “Welford Fortress” in the English Premiership but now the clash of two former European champions, Ulster Rugby winning in 1999 and the Tigers in 2001 and 2002, is a must win contest for Geordan Murphy’s team. “We need to win next week at Welford Road – you have to keep winning in this competition,” said Director of Rugby Richard Cockerill. “But Ulster are a good side with some very good individual players so it is a massive game. “These are the deciding games of the season and if we come away with two from two and with eight or nine points then that will be a huge plus. “We hope to have Billy Twelvetrees and Ben Youngs available for selection, but how much they will be involved remains to be seen, although the positive is there are no further injuries. Tigers captain Murphy – who has announced his retirement from Test rugby – added: “Ulster are a good side and picked up a couple of away wins last year. “They will fancy coming to Welford Road. They’ve made some really good signings over the last couple of years with guys like Ruan Pienaar, Pedrie Wannenburg and John Afoa. “There is a lot of talk about their South Africa core but they have some very good young Irish players as well – Ian Humphreys, Steve Ferris, Andrew Trimble and Paddy Wallace – the latter so underrated and a player I really respect. “I’m pleased to get a good win as Aironi are a tough side. We watched a lot of footage of them building up to the clash and they took this match to a big stadium and wanted to put on a show – it was a cup final for them. “It would have been nice to get the bonus point, and it was really frustrating to get the third try on 80 minutes. We should have got more out of the game, but full credit to Aironi they defended well and were aggressive. “There is a long way to go and we might have to pick up bonus-points later in the season but hopefully it won’t come back to haunt us.